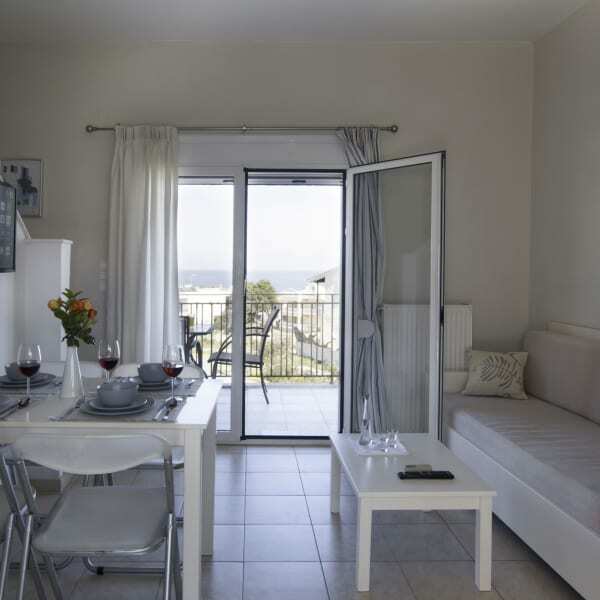 Cozy and calm gardenview studio in Agia Marina hill ideal for families and couples, just 500m away from the sea. The flat provides air-conditioning, fully equipped kitchen, double bed and sofa bed, seaview balconies, private parking, WiFi connection & satellite smart TV. Relax on the terrace and enjoy a glass of wine.